PureVPN vs PIA – Which one is better than the other? Many users face immense confusion when they are trying to select a suitable VPN service to suit their particular needs. This confusion most often stems from the fact that users can’t often decide between two or more particular services as they often look similar from the untrained eye. So, in order to facilitate users as to which provider is offering a much more compact and comprehensive Best VPN service, we have decided to compare two top VPN services in the market i.e. PureVPN and Private Internet Access. This comparison will include analysis in many different aspects of these services including pricing, server infrastructure, dedicated VPN clients, and feature overviews among others. So here is our comprehensive PureVPN vs PIA comparison 2018 by BestVPN. Both these VPN providers i.e. Private Internet Access and PureVPN are highly renowned in the market and this is why many users sometimes get confused as to which is one is better or which one amongst them will better respond to their needs. For a more detailed, individual review on each service, you can visit our blogs on PureVPN review and PIA review. As far as pricing is concerned, there is a very close competition between these two VPNs. And even more surprisingly, Private Internet Access is cheaper than PureVPN if you take a look at both of their pricing plans overall. This is incredibly strange, because PureVPN is one of those rare Top VPN services which has positioned itself as an affordable VPN service, and here, in this comparison, it is clear the PIA is the leader. Dedicated IP with DDoS Protection: $2.25/mo. PureVPN’s best deal is their 2-year deal in which the cost comes down to an incredible $2.95/month. The 24-Month deal is also fairly priced at $3.29/month and is not out of the affordable range still. However, despite the low pricing implemented by PureVPN, it’s still not cheap enough as compared to PIA’s pricing plans. Most people do not think of PIA as a cheap VPN service, but this misconception needs to be dealt away with because if a Top VPN is cheaper than PureVPN than it certainly is the most affordable best VPN out there. 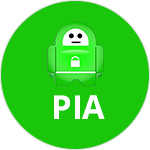 PIA’s best deal allows you to get its VPN service for a miserly $2.91/month, which is some feat because PIA is not your average VPN service. It does everything from unblocking Netflix US to providing Torrenting support, so the deals are definitely worth it. When we carried out a head to head feature comparison between these tow services, it was evident that one of them was at a clear advantage in terms of the functionality and security it could afford to its users. Enterprise Grade Security & Privacy: $2.95/mo. 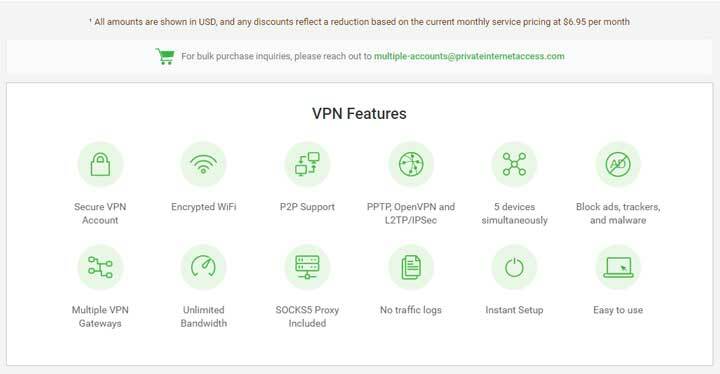 PureVPN offers a lot more than just your average VPN package features like military-grade encryption, OpenVPN protocol support, a high number of servers etc. Its exclusive features include enhanced security options like Double VPN and Split Tunneling, it also offers dedicated VPN clients for niche devices like Amazon Firestick and above all, it offers a kill switch in all of its VPN clients. On the other hand, PIA lacks any of these exclusive features being offered by PureVPN. PIA does have things like simultaneous connections, VPN clients etc, but it lacks the extra punch which makes a VPN top notch. It doesn’t even have a kill switch, which is more of necessity feature these days and must have for all VPNs. Verdict: PureVPN is the clear winner here as it offers many more features than PIA. When it comes down to comparing VPN providers on their server infrastructure, we need to take into account a lot of different aspects like total server counts, number of locations worldwide, dedicated torrenting servers among others. PureVPN currently offers around 2000+ servers worldwide, including dedicated Torrenting and P2P servers but the factor where it beats all other VPNs is the number of locations in which these VPN servers can be connected to i.e. 180+. That’s 140 countries we are talking about, providing PureVPN subscribers with a much more expansive reach than other VPNs, including PIA. Private Internet Access (PIA) definitely offers many more servers than PureVPN i.e. 3152 total servers, but the locations it offers are too limited to give any sort of a clear lead over PureVPN. It has servers in 33 countries, which is not even 1/4th of the locations that PureVPN offers. Verdict: They are both neck to neck when it comes to their server infrastructure and none of them has the overall power in them to gain a clear lead over the other. So we declare it a closely fought tie here. PureVPN and PIA are two primed services when it comes to support streaming activities on sites like Netflix and BBC iPlayer, so both of them are definitely offering optimal speeds. However, when we ran speed tests on both these services, we found that PureVPN topped out on 4 randomly selected servers in our analysis as compared to PIA. These servers were based in USA, UK, France and Canada. In bare speed tests, PIA clocked in throttling of around 24% while PureVPN was slightly better at 22% on average on all the servers we ran speed tests on. Speed Verdict: PureVPN is the victor here and we would recommend users that they go for it if speed is one of their primary concerns when subscribing to a VPN service. In overall performance comparison, PIA takes the lead and that too commendably. We say that because it suffered fewer breakdowns that PureVPN on different activities we tested both these VPNs on. PureVPN was better and more consistent on activities like streaming and Torrenting but on other activities such as connecting to servers located further away from our current location, PureVPN had a few disconnections, 2 to be precise. PureVPN is perhaps one of those rare VPNs which makes consistent efforts towards providing its users with the best dedicated clients for as many devices as it can. For e.g. it offers its own Firestick app which makes it a foremost choice as a VPN for the platform because of the difficult process of sideloading a VPN app on that device. PIA does offer dedicated client apps and browser extensions but its no match for PureVPN in this category. In today’s highly competitive internet environment, one of the most influential determinants in gauging the facilitation offered to the user is ease of usage of the service. And there is no place where this holds more true than the VPN industry. VPNs are quite complicated services, especially for new users, so a provider needs to go to great lengths to ensure that its service is easy to navigate and deploy by everyone. This “Ease of Use’ constitutes things like website navigability, user experience on the client apps among other things. In this metric, we would like to say that both of these services under review here have done considerable work in order to ensure that all aspects of their service are user friendly. PIA’s website and its apps are built succinctly in order to make things less complex for the user, and PureVPN’s service is based on comprehensiveness i.e. 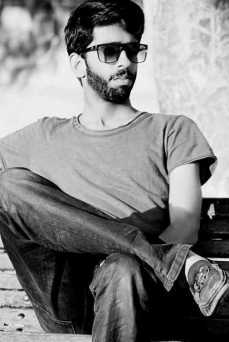 they have dedicated categories on their website for explaining everything including an excellent blog. Even their client apps have loads of streamlined options to give users more control over how they want their VPN to function. Verdict: Here, both of these services remain equal as both of them can easily qualified as User Friendly. According to us, the best kind of customer support is through the live chat support option and that’s because its much more personal, easy to use and techy than email support which is cumbersome in this modern day consumer product domain. And if this is the metric for adjudging best customer support, then PureVPN is providing excellent customer hands down as compared to PIA. This is because PureVPN offers live chat support while PIA is still stuck in the mid 2010s with its email based support. PIA’s customer support method is not relevant in today’s world, so we will recommend it to upgrade itself and add live chat support in order to better facilitate its users. No one in today’s world has the time to wait for 5 hours to get answers to simple questions and PIA should understand that as its been in the industry for a long time now. Verdict: PureVPN again emerges as the winner here because of offering a much more efficient and faster form of customer support. Undoubtedly, PureVPN is a much larger service as compared to PIA and most users will believe that its unfair that we are comparing the two un-equal services on the same metrics. But we believe that, yes we can discount for aspects like more servers and more niche client apps because of the unevenness in size between the two services, but some things cant be ignored here like the absence of some pretty basic things like a Kill switch, live chat support among others. 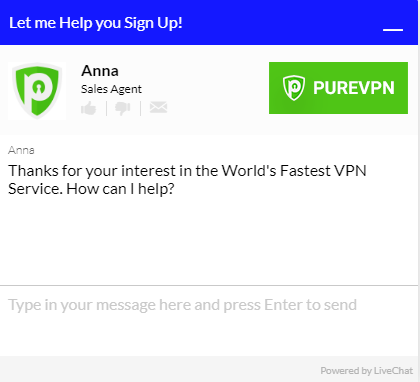 PIA is a great VPN service, but we have to declare PureVPN as the winner here because it has emerged as the more “Adept” VPN service according to modern day user requirements than the former. PIA has a lot more scope than this and it can definitely grow forward if it adds the features that we found missing in this comparison with PureVPN. While this comparison didn’t include the more technical aspects like DNS leaks, Web RTC leaks etc, it still remains highly relevant from the point of users who are new to the industry and those who are aiming to switch from a former service and are confused between the two. Yes, technical aspects are crucial in adjudging VPNs but this comparison is based more on a user viewpoint. This comparison review between these two top tier services will surely make it easier for you to decide between the two services in a much more unbiased manner than you could have done otherwise. If you have any disagreements with our analysis in this comparison, we would love to hear from you. Feel free to share your opinion in the comments below in order for us to have a meaningful conversation in this regard and for us to induct changes that we feel you are rightly pointing out to.